A long time ago (February 2012) a very strange thing happened to start this little story. I flippantly said to my brother that I'd quite like a Princess. He rather less flippantly said he reckoned he could find one fairly easily. I laughed, didn't think much more of it. Then he spotted one locally on a driveway. Then he encouraged me to knock on the door to see if it was for sale... which is wasn't, but it would be soon... and so the adventure began. The benefit of nearly six years of ownership and hindsight means I should never, ever have bought this car. The previous owner was a lovely, amicable chap and was rather fond of the beige monster but he'd already met the tip of the iceberg of problems to come and having invested rather more money than perhaps he ought, came to a price we were both happy with. It was a very cold evening the day of the collection, one of the sealed beam headlights wasn't working, the idle was all sorts of wrong so it barely had any power and half the dashlights weren't working so you had to guess how fast you were going. Dad drove it home from the seller's house, and did not enjoy it, understandably. He'd just got out of his Lexus LS400 (an amazingly nice car, highly recommended! First car I drove after passing my test, in fact) so I imagine it was something of a shock to the system. Once I'd got the insurance sorted out, I got a drive of it with my brother and a friend along for the ride and I was sold instantly. It's hard to explain really. The car was filthy, inside and out, and clearly showing signs of historic neglect (not the fault of the chap I bought it from, I hasten to add, he was trying to sort this nonsense out), but there was something about it that was a really good fit for me. It even smelled right. It was not without its problems, issues I really should have dealt with much sooner than I did. Life, excitement and inexperience meant I didn't at the time. It really was disgusting and once you cleaned one thing it highlighted how bad the rest was. I've never had to scrub a headlining before. After some tinkering, we got the timing sorted and the car was pressed into use initially as a second car, then as my daily driver! My Mk2 Polo needed rather more than I could give it at the time, 2012 was a rough period of my life, not really the best time to go out and buy a maligned classic with problems, but there you go, that's what I did. First up was to sort out the tyres, some of which dated from the 90s, one at least of which was a Kingpin Remould with all sorts of weird bulges on the sidewall. We trundled to Rotherham with no bother until joining a roundabout and the car tried to die. Then it was fine. Parked up, tyres sorted, no worries. Right up until I tried to head home and it wouldn't start. Went to get the chap I got the tyres from for a bump start, turned the key in the ignition and the car fired up no bother. This would be my learning curve on points and condensers. When I got home it conked out again right at the foot of the drive blocking the access road. Really not a great position to put me in that. It was my first FTP and I'd had the car a little over a month. It did not inspire much confidence. There were other issues too, like a bent needle in the carb and a bit of grit that had somehow got into the carburettor. 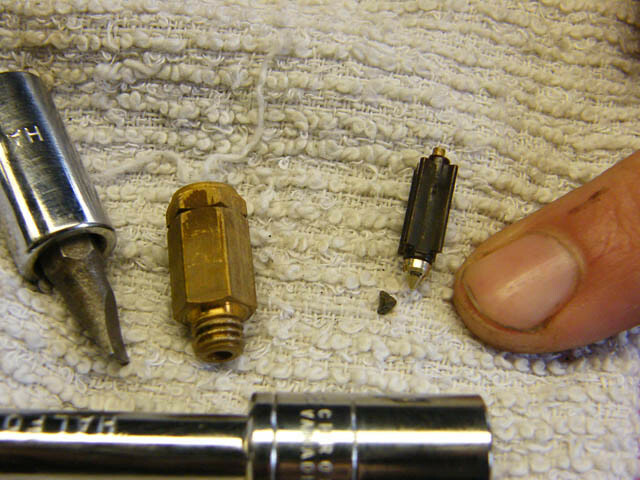 Another problem was a wire in the distributor was shorting out on things. This is much the routine I'd follow. Finding items that really should have been fixed years ago and hadn't for whatever reason. The car was supposedly restored in the 90s (I've got some history with it to prove this), but the job was done quite badly. There's shortcuts all over with too much filler, too much paint, issues with the paint and... well, the list goes on. It would be easy for me to sink into all the FTPs and stuff I've had with this car over the years. Suffice to say the first year was a rocky one. This was a fairly regular sight as another irritating failure would occur due to neglect and years of abuse. It was incredibly frustrating and yet somehow I never wanted to part with it. There was, and still is, something about this car that really makes me happy. I'd just about got on top of things and my parents' neighbour reversed into my car hard enough to write his Corsa B off. Repairing that was my first encounter with the standard of restoration work that had been done to the car. I persisted, all the same, and repainted the rear wing after getting the dents out. At this point I was planning to change the colour to British Leyland's Aconite and managed to do this with a brush and roller, proof that you don't need to spray a car for a great finish. Then there was an incident on the way to the MoT. I was utterly mortified. A taxi had brake-checked the van in front of me just as I glanced at my directions and I couldn't stop in time. We did the insurance dance, got messed around a lot, I borrowed an automatic Maestro as I needed transport for work, then bought a Ledbury Maestro to replace it and patiently sorted out the damage... with said Maestro... and hammers. I bought some Lotus wheels that came up at the right time for the right price. Got her straightened out, sorted, and through an MoT. Because of Photobucket there's a gap here in the photos since I haven't rehosted them all, but suffice to say all was going swimmingly after this. Until it failed the MoT on a bit of rust. The bit of rust became a lot of rust. Then I had to replace a sill, repair another sill, replace large sections of floor and generally dig out a lot of filler and fibreglass. Life imploded a bit with house moves and family bereavements and I ended up moving from Derbyshire up to Middlesbrough with the Princess mostly in bits. 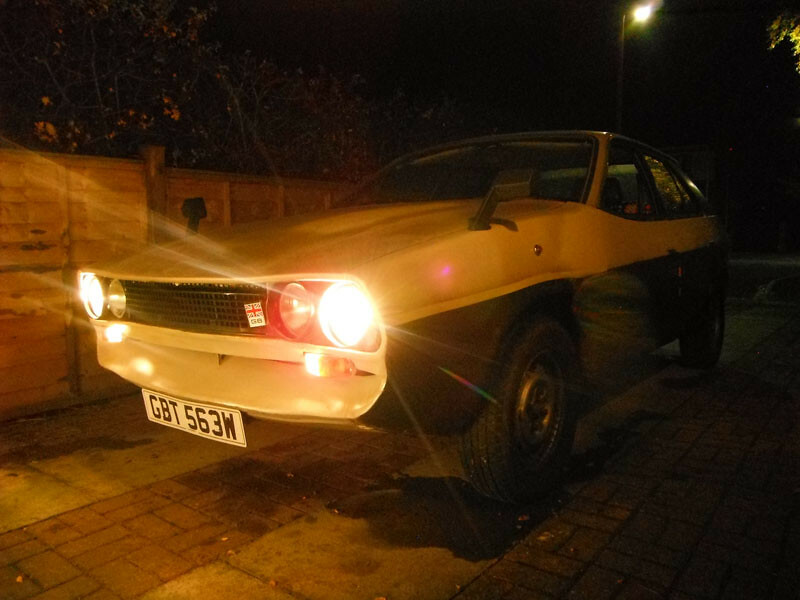 It burst a displacer in disgust on the day of the move, which was super of it, and the other Princess I was selling at the time decided it too was going to be an arse the day I was moving and give grief to its new owner... the joy of old cars. But, I stuck with it and I welded it up. 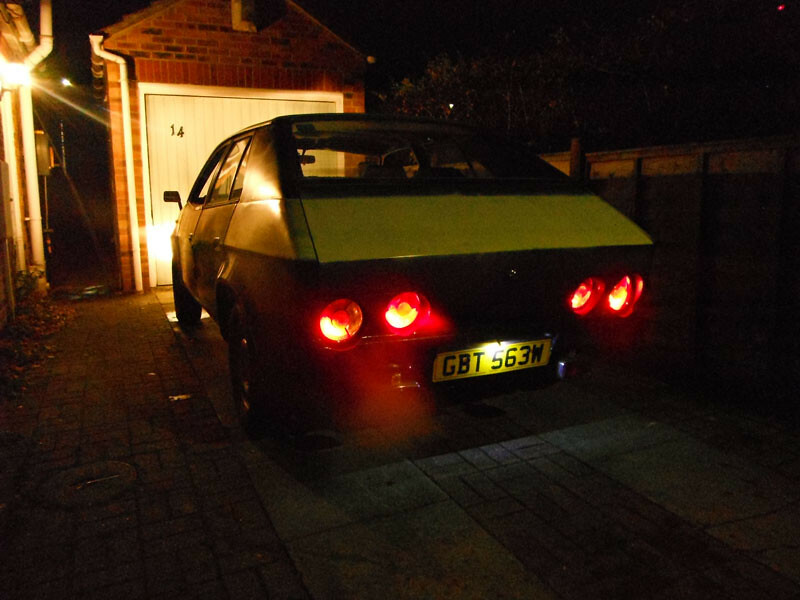 I shaved the bumpers, fitted some different lights on the back and worked through the electricals with a lot of help from my housemate. This car was now, officially, a labour of love. She finally got through an MoT in April 2017 and since then has been mostly reliable, with some suspension issues (thankfully not displacers!) and electrical gremlins which is normal for a car that's been off the road for a bit and being worked on as much as this one has. At the moment she's in bits again because I'm doing the clutch, a job I've been putting off since I bought the car back in February 2012 and which I no longer can. 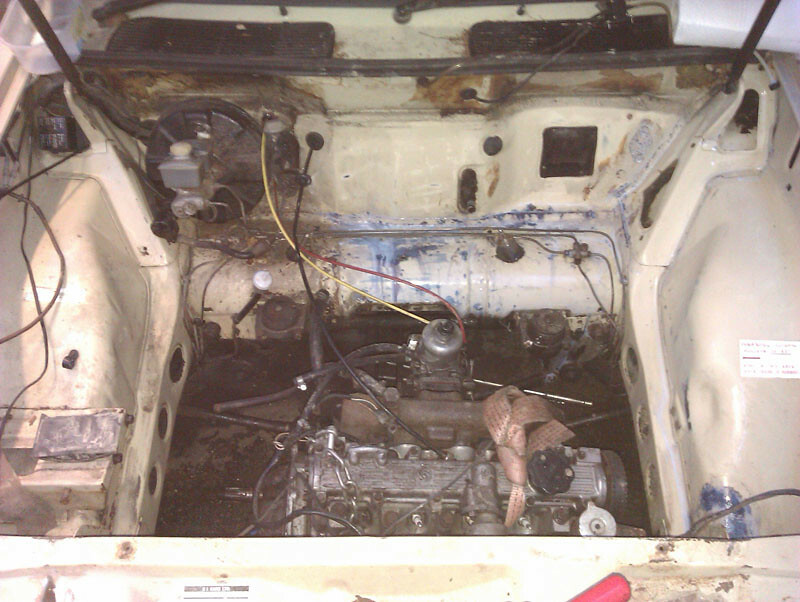 That's an engine out job so I'm also tidying up the engine bay and doing any other jobs I can at the same time. Then the only big job left is the paint, which is something I've been sorting out in the engine bay yesterday and hope to have mostly sorted by Monday. I'll keep you posted on progress. This one's a keeper. It'll be for sale soon... just saying like. i like to look at them, but i aint buying! Nice write up, but you need to get back on the purple 1100, I was hooked on that thread. 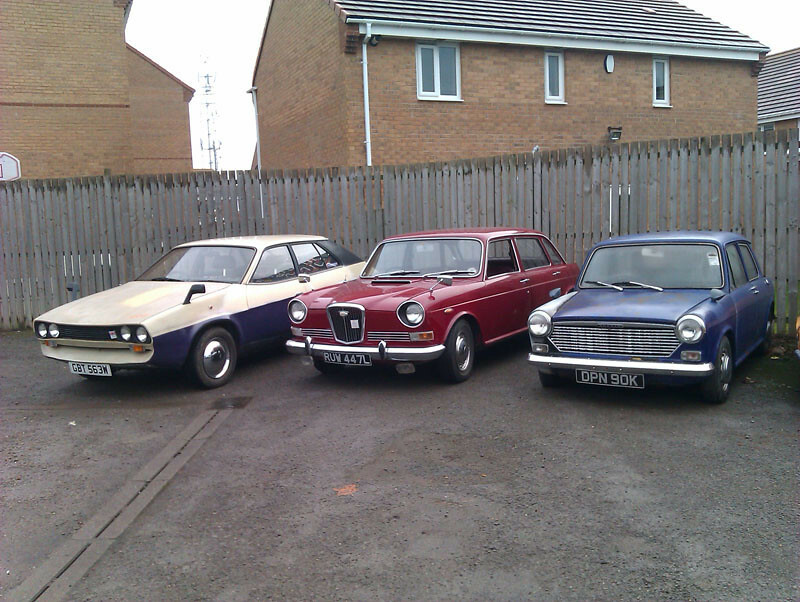 My late father in law had a bronze power steerng Wolseley Six Princess. It looked like a beached whale and drove even worse. The 1100 is waiting its turn, I've recently ordered a pair of outer sills for it but I can't start work on that until February, after I've finished this clutch job. Power steering on Princesses (mine doesn't have it) is super duper light, much more than it needs to be!